I’m thinking of buying the GL.iNet GL-AR750S (slate) and I have some questions. Can it connect wirelessly to an existing wifi network as a repeater / range extender, so that it broadcasts it’s own unique SSID (different to the SSID that it is ‘repeating’), and so that anything connected to it will go through a VPN? My existing wifi network has the SSID ‘network1’. I want to connect the GL-AR750S to network1 via wifi, and I want it to create a new SSID e.g. ‘network2’. Anything connected to network1 (via wifi) will not go through any VPN. Anything connected to network2 (via wifi) will go through a VPN. So any of my devices (e.g. ipad, roku, xbox) can switch easily from VPN to non-VPN by simply connecting to a different SSID. Yes. The slate has dual radios, one for 2.4ghz and one 5 ghz. You can connect the 2.4ghz to your existing router, and have a new ssid on 5ghz, and set up VPN on the slate normally using the GL UI. Then you can do as you wanted, just connect to the new ssid and have VPN, or your existing router ssid for no VPN. Thank you so much for your valuable knowledge. That vpn routing policy feature sounds awesome! I’m now convinced that I need to buy one! Can I also do the same thing with the GL-AR750 (Creta)? 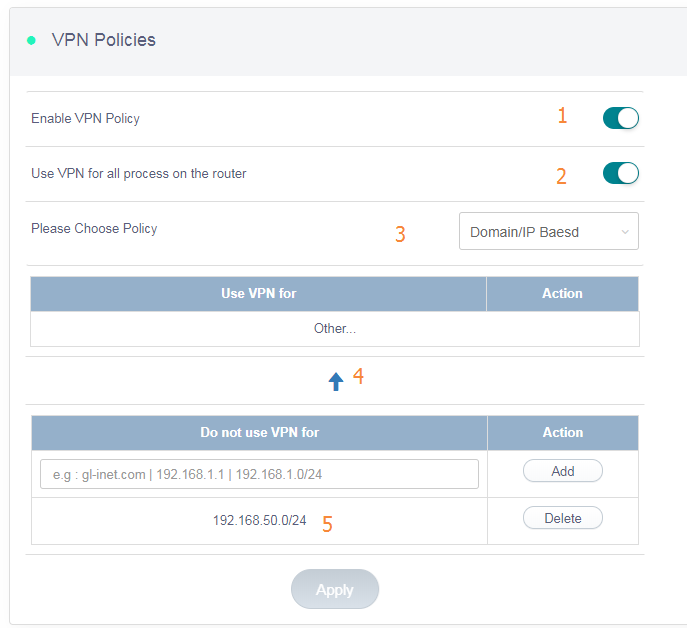 And does the GL-AR750 (Creta) also include the new vpn routing policy feature? I will go for the Slate !